Stumped on what to get a loved one? Why not give them something fun, personal and practical? Personalized air fresheners are a unique gift that are sure to make the recipient smile. 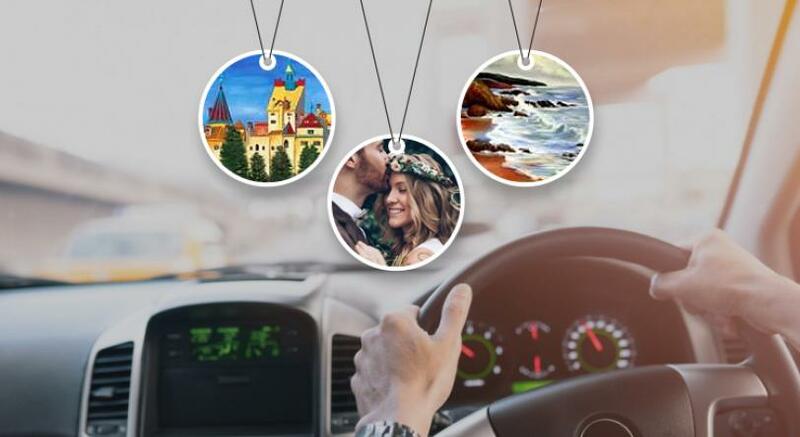 Upload pictures of your friends, family or favorite places and enjoy the scenery hanging from the rearview mirror. Currently, we’ve also got specials on pre-made air fresheners with important caveats such as “No Texting While Driving” and discouraging drinking and driving. Send a special (and serious) message to those you care about the most! While the holiday season is behind us, personalized air fresheners can make a great gift idea for other holidays, as giveaways for your business, or just as a token of consideration. Browse our inventory or upload your own photos today!